Product code: 820 Categories: Sold Items, Sold Rings. 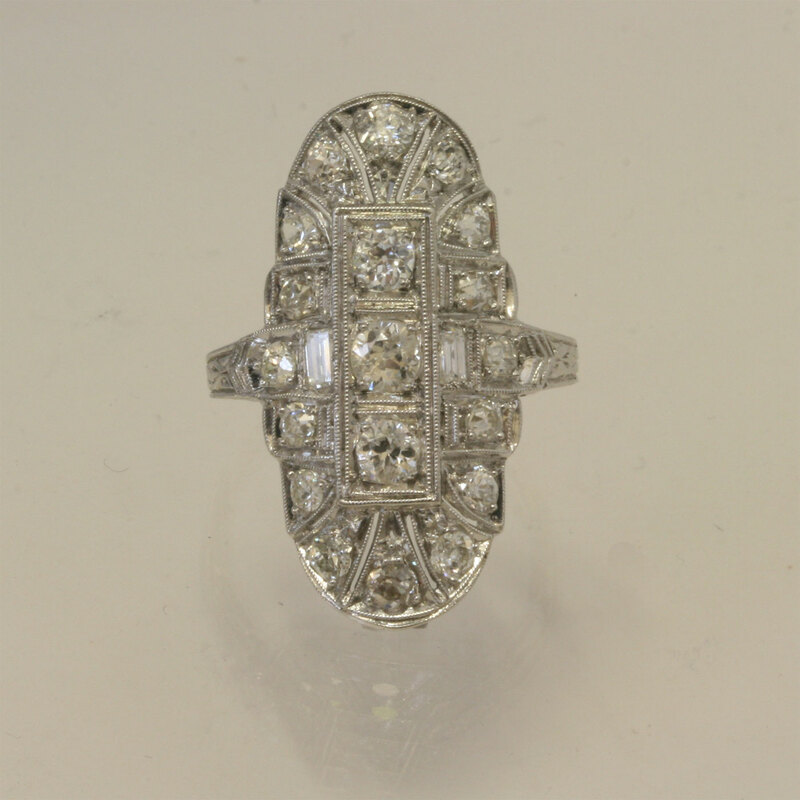 Here we have a sensational Art Deco era ring, made in platinum with a design that looks amazing. Set with a total of 21 diamonds, including the 2 lovely baguette cut diamonds on the side, the total weight of diamonds is 1.68cts. The ring measures 28mm in length x 15mm wide, and looks superb on the finger, and can be worn for any occasion. 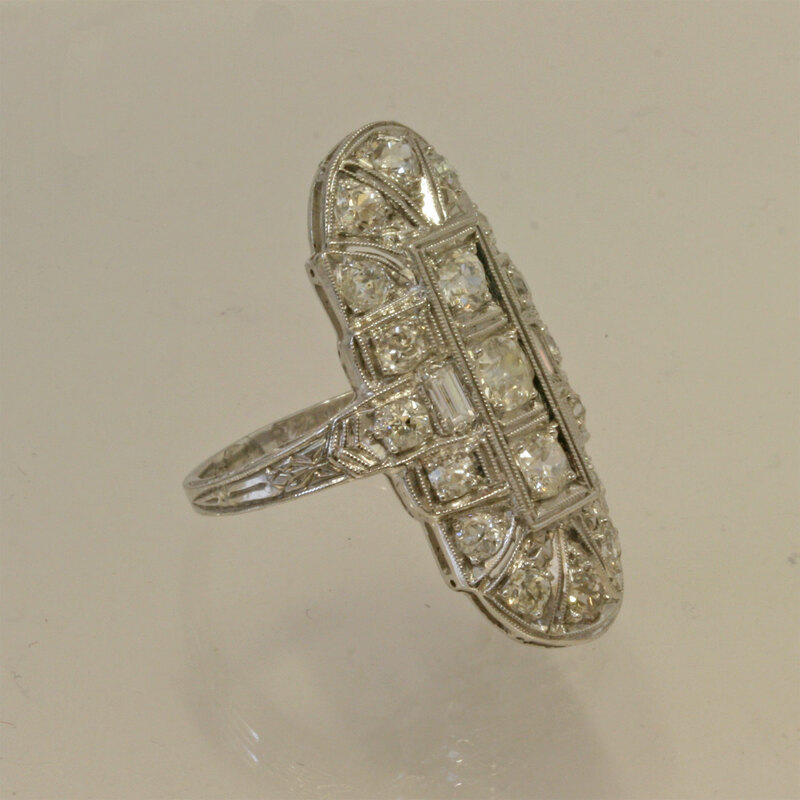 Fabulous Art Deco rings such as this are so sought after, and when you try this on, you will just fall in love with it.